Neurofibromatosis, or NF, is a genetic disorder that affects one in every 3,000 people. It can cause tumors to grow on nerves throughout the body, and complications from NF can lead to disfigurement, deafness, blindness, skeletal abnormalities, learning disabilities, malignancies, and debilitating pain. NF affects all populations equally, and there is not yet a cure. 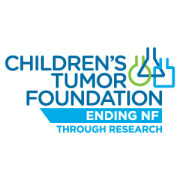 The Children’s Tumor Foundation is a 501(c)(3) not-for-profit organization dedicated to finding effective treatments for the millions of people worldwide living with neurofibromatosis (NF), a term for three distinct disorders: NF1, NF2, and schwannomatosis. NF causes tumors to grow on nerves throughout the body and may lead to blindness, deafness, bone abnormalities, disfigurement, learning disabilities, disabling pain, and cancer. NF affects 1 in every 3,000 births across all populations equally. There is no cure yet - but the Children’s Tumor Foundation mission of driving research, expanding knowledge, and advancing care for the NF community fosters our vision of one day ending NF. For more information, please visit www.ctf.org. Children's Tumor Foundation accepts donations. Donate Now. Hey I sent a message earlier and I forgot to give my phone # I'm Lauren Hargett and my phone # is 704-254-3253 Thanks!! I have a small amount of friends and Im still attending school however, I will recommend this service to all of my friends. We like to work with kids and enjoy helping them so its more likely I wil recommend it to my friends and one or two would want to help. Thank you for this opportunity. I wanted to volunteer here, but they never emailed me back after I clicked the "I want to help!" button or after I completed the volunteer application!